What or who is causing these small poop-like balls of soil below the pot? 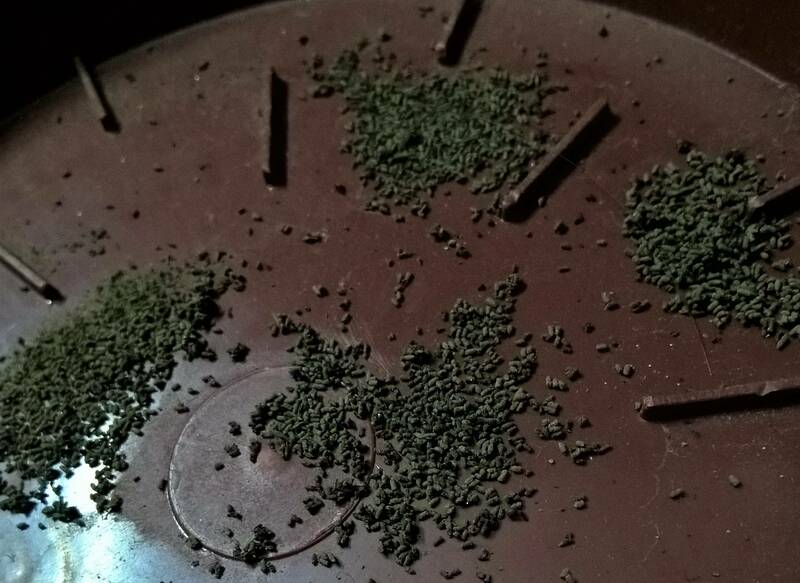 What is this poop-like sand doing in my pot saucer/tray? I saw them today. I lifted the pot(Dracaena Reflexa [Song of India]) and couldn't find a bug or anything. So I thought maybe it's the sand falling from the pot holes, but they are too perfect and makes me wonder if it's really sand falling from the holes or a work of art. But if it is a work of art, then who is the artist? Also, I crushed some and found them to be sand. The plant is kept in home. Not the answer you're looking for? Browse other questions tagged identification diagnosis or ask your own question. What are these sphere-like things on my Camellia azalea tree? What are the small plants growing in the soil with my palm tree? How can I get rid of these small white pests in my peace lily pot? What is this white salt and web like thing on the soil? What are these small growths on my huckleberry? What are these succulents in a decorative pot? What are these small raised black marks on my plants?